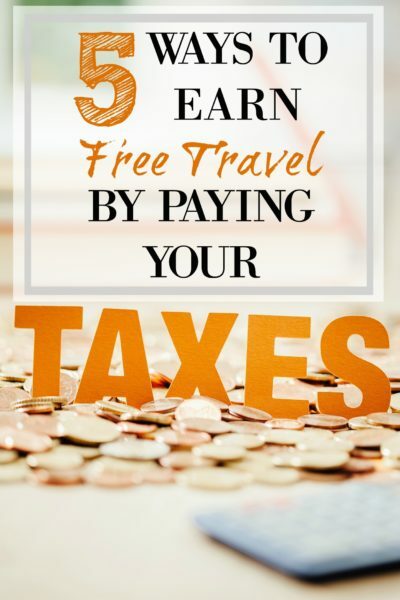 While paying taxes to Uncle Sam is never fun for anyone (and I almost always end up paying taxes as someone who runs her own business), if you can earn miles and points on something you have to pay anyway, which you can then use toward FREE TRAVEL, it makes the pain of parting with that money a little easier :). Disclosure: This post contains affiliate links through which I may earn a bonus or referral if you make a purchase after clicking through. File your tax return through TurboTax online after clicking through the offer from the Southwest Rapid Rewards Shopping Portal and earn 1,000 Southwest points. You must purchase the 2018 online version of TurboTax Federal Free Edition, TurboTax Deluxe, TurboTax Premier, TurboTax Self-Employed, or TurboTax Live (currently prices range from $39.99-$89.99; you may want to compare pricing to make sure that deal is worth it to you for the points). Other editions, like the TurboTax CD or the free programs, are not included in this offer. These are BONUS points, so they DO NOT qualify toward earning the Southwest Companion Pass, which lets one person fly nearly free with you for up to two years (enroll in my popular “How to Earn Your 2019 Southwest Companion Pass” online course to get step-by-step help to easily earn this pass), but you can use them for FREE travel. If you are a member of American Airlines’ AAdvantage frequent flyer program, you can earn 450 miles by purchasing TurboTax through the AAdvantage eShopping Mall. But American is not nearly as easy to earn free flights as is Southwest! At the Southwest Rapid Rewards Shopping Portal, you can earn 6 points per dollar spent on H&R Block tax products. The program terms state that only TaxCut Premium Software products and TaxCut online products are eligible. Additionally, they are offering 25% off online tax filing products through December 31, 2019. AAdvantage e-Shopping Mall is offering 9 miles per dollar spent on certain H&R products with a similar discount of 25% off online products, as well. File your taxes through e-File.com via the Southwest Rapid Rewards Shopping Portal and earn 15 points per dollar spent. E-file.com has online tax software for federal and state tax returns. Prices are up to 50% less than other software programs, and through the portal, they are offering 24% off of their prices. The offer is good for new customers only and for paid products. AAdvantage e-Shopping Mall is also offering 20 miles per dollar spent on e-File.com. To maximize the number of points you can earn by doing and paying your taxes through the above, pay for these products with a miles-earning credit card. Consider cards like: Chase Sapphire Preferred and Reserve, Southwest Rapid Rewards Chase Visa credit card, Citi® / AAdvantage® Platinum Select® World MasterCard®, Chase Freedom (which lets you earn 1.5 points per $1 on all expenditures), Capital One Venture (earn 2 points per $1 on all expenditures), etc. Then in addition to the points you’ll earn by shopping through your chosen portal, you will earn even more points per dollar by using your travel credit card. While ordinarily, you CANNOT pay your taxes with a credit card, Plastiq makes it possible. By paying your taxes with a credit card (which you will pay off within 30 days to avoid high-interest charges, right? ), you can accrue points or miles depending on the card you use. For example, you could earn Chase Ultimate Reward points by paying with the Sapphire cards or Chase Freedom, whose points can then be transferred to Southwest Airlines or British Airways, for free travel. Alternately, you could use your Southwest Chase Rapid Rewards Visa to earn Southwest points directly. If you pay with your Southwest credit card, the points earned via the card DO qualify for the Southwest Companion Pass. Plastiq charges a 2.5% fee for the ability to pay bills like taxes, a mortgage, rent or a car payment with a credit card. Does that soften the blow a bit? I hope so! Here’s hoping you get a refund this year ;-). I’ve done it many times when I needed to earn my sign-up bonus for a card, whether paying my year-end taxes or my estimated taxes. It charges 1.87% of the transaction total.